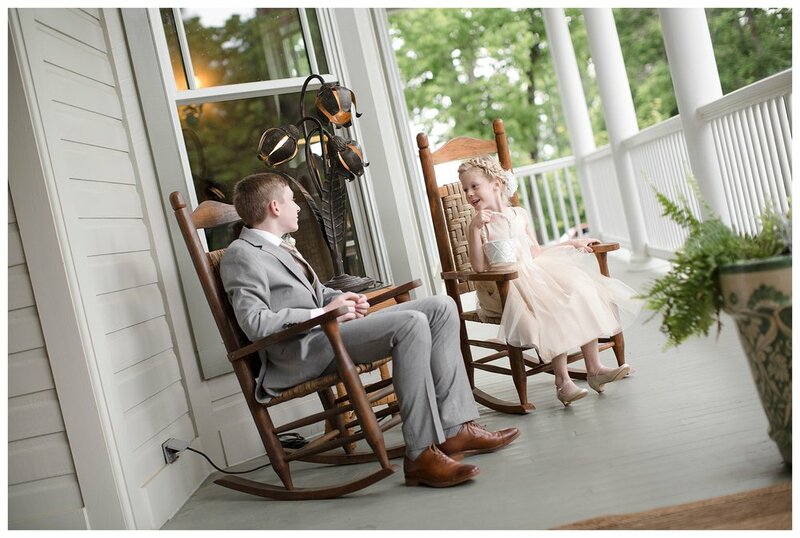 Angela and Matt were married on a slightly overcast day in May at Pratt Place Inn in Fayetteville, AR. It was a beautiful day for their wedding. 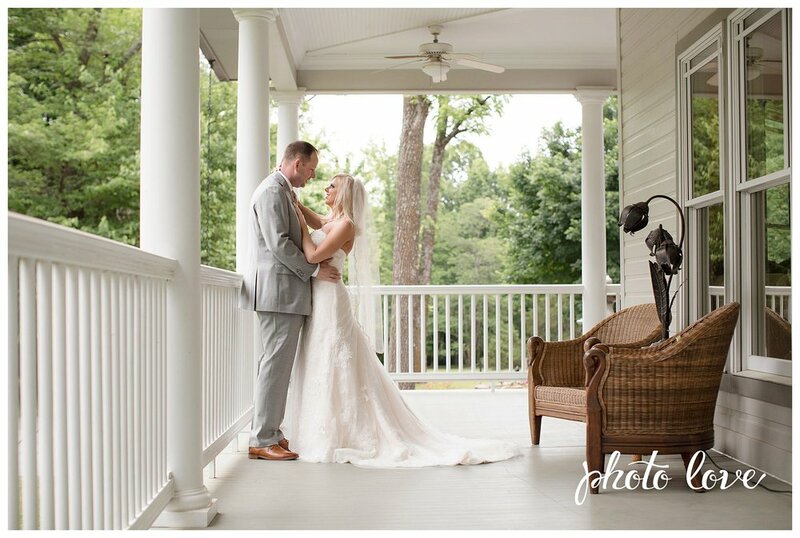 The cloud cover provided some much needed relief from the heat and thankfully the rain cleared out just in time for the ceremony and pictures outside! Angela and Matt really wanted a small and intimate wedding. They invited only immediate family and a few close friends and had their ceremony under the tent in front of the inn. 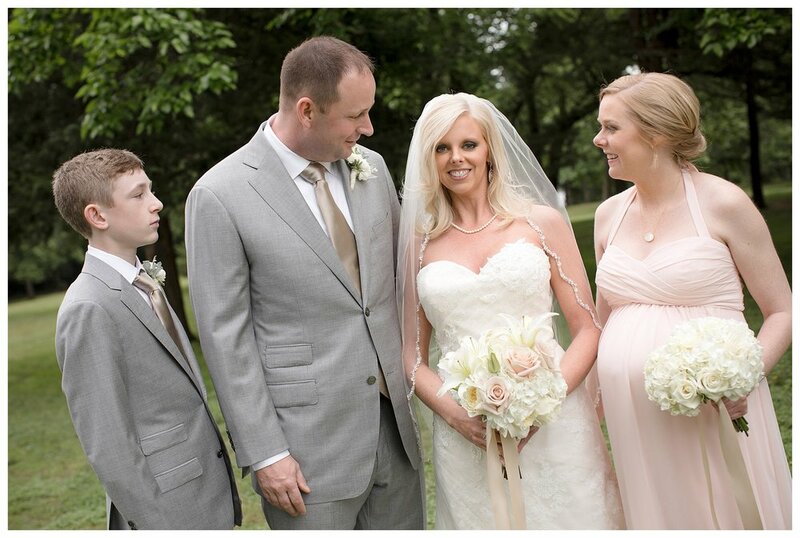 Angela looked breathtaking walking down the aisle in her all-lace wedding gown from The White Dress Boutique. Her dress also had delicate jeweled details in the lace which were highlighted when paired with her jewel-lined veil! She really wanted their wedding to be elegant and classy. 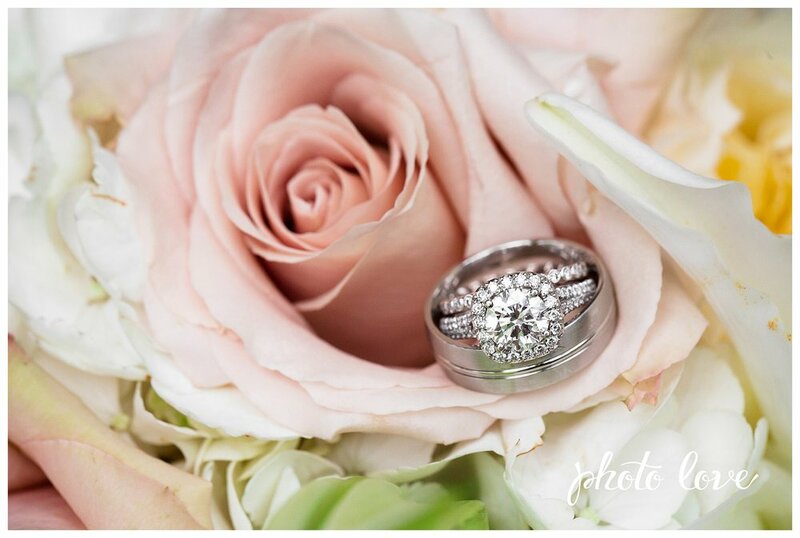 Because of this, she chose blush pink, champagne, and ivory for her color scheme. 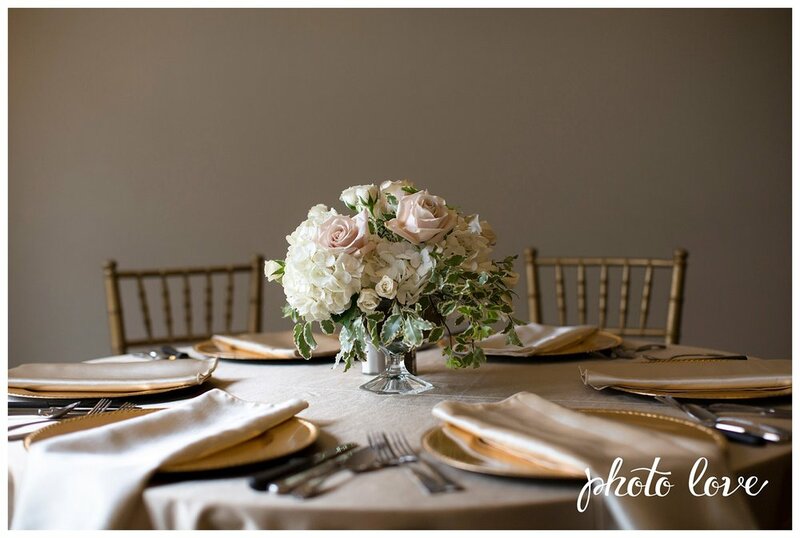 All of the floral arrangements were composed of soft pink roses and white roses, hydrangeas, and lilies which were elegantly assembled by Rose of Sharon. The tablecloths and napkins at the reception were a deep champagne and when mixed with the gold plates and chairs created a truly classic feel. Their four tier wedding cake from Shelby Lynn's Cake Shoppe even had gold and blush pink accents to go along with the theme. 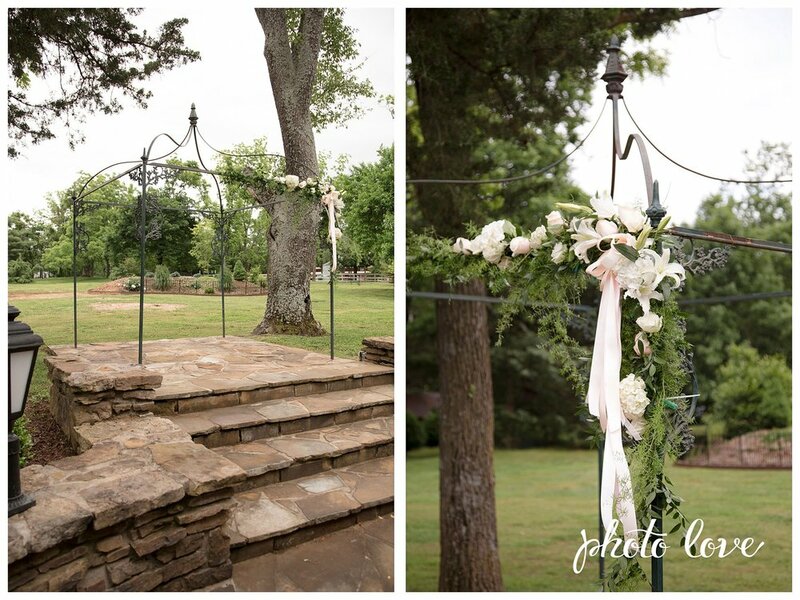 Angela and Matt worked alongside Creative Event Planning NWA to plan their dream wedding. Angela said that they really made everything go smoothly so that she and her new husband could just relax and enjoy their special day with family and friends!